BMW's X6 is set to introduce a sharper, more athletic look for its next redesign. 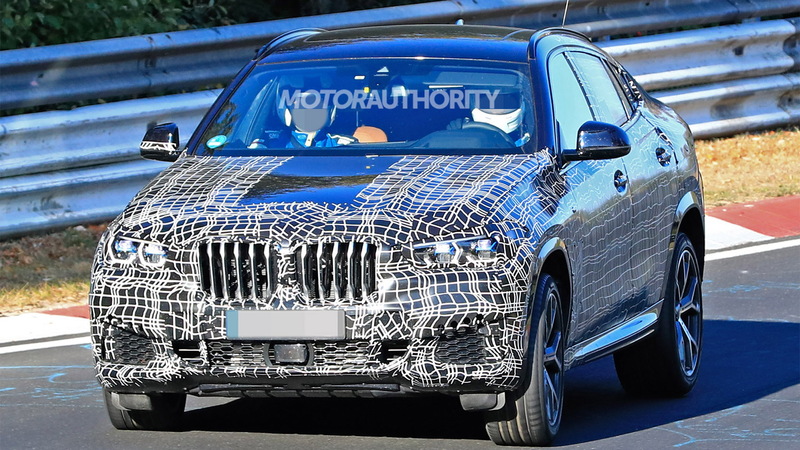 Prototypes for a new generation of the coupe-like crossover SUV have been spotted and reveal many of the details we can look forward to. The design is very close to what we see on the latest X4. Overall, it's much more muscular than what we find on the current X6, which is really just an update of the original X6 introduced for 2008. 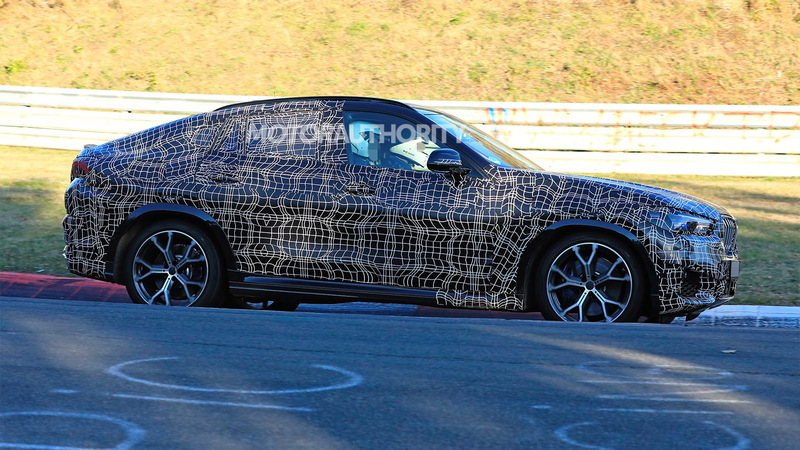 2020 BMW X6 spy video from Motor Authority on Vimeo. A simple update won't be the case for the new X6 as it sits atop the CLAR modular platform that first appeared in the 2016 7-Series. The platform should ensure the vehicle, along with a redesigned X6 M also in the works, is lighter, tauter and more fun to drive. The mechanicals should be similar to those of the redesigned X5 introduced for 2019. 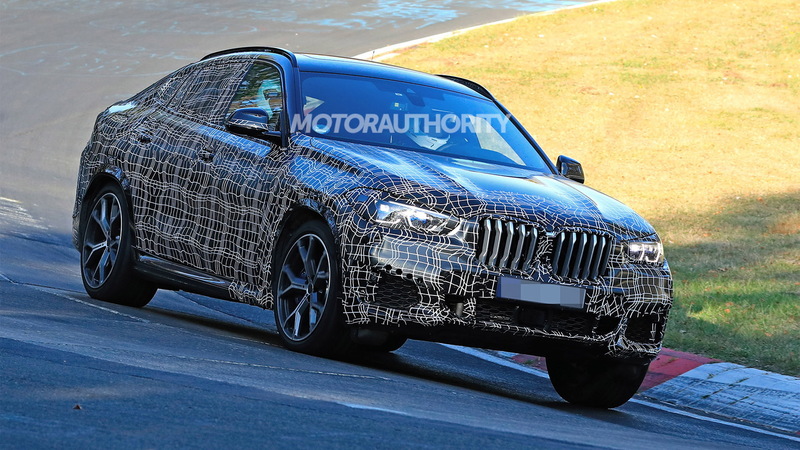 This means we can expect the new X6 to come in xDrive40i and xDrive50i models at launch, powered by 335-horsepower inline-6 and 456-hp V-8 powertrains, respectively. A plug-in hybrid option should be added at a later date. As for the new X6 M, this beast will come with a 4.4-liter twin-turbocharged V-8. 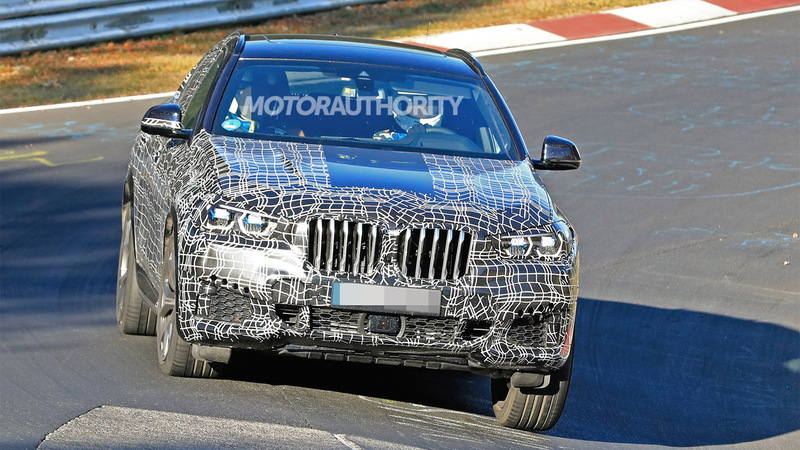 The powertrain delivers 600 horsepower and 553 pound-feet of torque in the latest M5 and similar figures should feature in the X6 M—and an X5 M being developed alongside it. Judging by the interior of the new X5, the new X6 will benefit from high-tech features including a digital instrument cluster, touchscreen-based infotainment, and multiple electronic driver aids. Laser headlights (indicated by the blue x-shaped elements on the prototypes) will be offered, and possibly an off-road package too. The new X6 represents the nameplate's third generation, and we'll see it in showrooms late this year as a 2020 model. 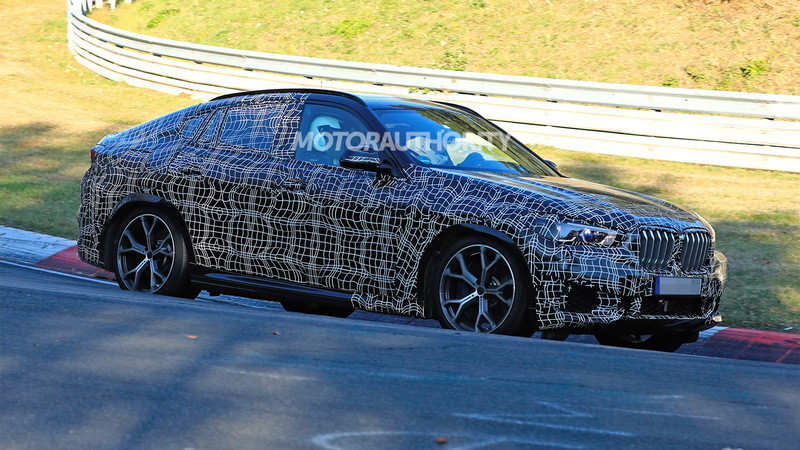 The X6 M is expected to arrive around the same time.